BEAR Scotland has started work to repair deep verges along the A90 following concerns from Why Stop at Ellon campaigner and councillor Gillian Owen. Cllr Owen first emailed BEAR Scotland back in November regarding the verges at the road around the Berryslacks turnoff. 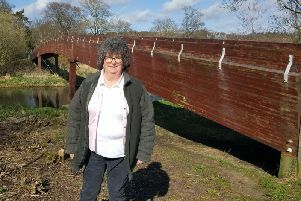 She said: “I followed up again in December with more photos showing the continued deterioration in the hope that action would be taken sooner rather than later. She added: “The A90 continues to be a problem north of Ellon and poor repairs do not help, particularly with the chances some drivers take. Drivers on the A90 were delighted to see repair work begin earlier this week.